Early versions of the DualShock 4 had the d-pad and left analogue stick reversed. They say imitation is the best form of flattery, so Microsoft must be pretty flattered to hear that the early versions of Sony's DualShock 4 controller had the d-pad and left analogue stick reversed - a precedent the former company set with the Xbox. 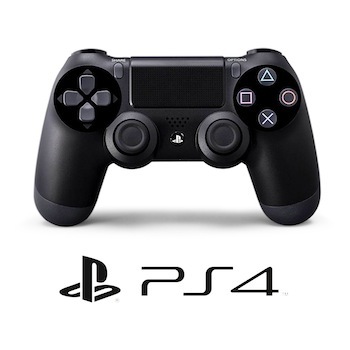 Eventually though, the prototype and management team decided that having the two analogue sticks mirroring each other was "in the company's DNA", and thus how we got to the final version of the DualShock 4. "For the analog sticks," Toshimasa Aoki, manager of Sony's product planning department, told Venture Beat, "We did test having [them] on top, since the Xbox has the left side on top [above the D-pad]. Especially from the shooter teams - we got feedback that that's what they wanted. They knew that consumers liked the 360 for shooters." But you can't fight your nature, and Aoki admits that "[having the two sticks symmetrical on the left and right sides] is kind of in our DNA. The prototype team, myself, and also the management team really felt that having this look is the PlayStation look, and we had to keep that." Aoki also talks about some completely "crazy" controller ideas they had in the prototyping phase. "So we made, I don't know, more than 20 prototypes. Some had no buttons, just touch panels. Some were rounded. All this crazy stuff." Makes you think back to the banana controller prototype of the original Sixaxis, doesn't it? Which control scheme do you prefer? Are you glad Sony stuck with tradition, or are you more partial to Microsoft's reversed d-pad? Or are you one of those crazy guys who prefers the Wii U pro controller's double-reversed analogue sticks?